From Changi Airport: Take bus 53 and transfer to buses 19, 9, and 59 along Loyang Avenue. Alight at bus stop 99021 ‘Bef Cranwell Rd’. From Pasir Ris MRT: Take buses 89 or 109 towards Changi Village Terminal and alight at bus stop 99021 ‘Bef Cranwell Rd’. From Tampines MRT: Take buses 19 or 29 towards Changi Village Terminal and alight at bus stop 99021 ‘Bef Cranwell Rd’. 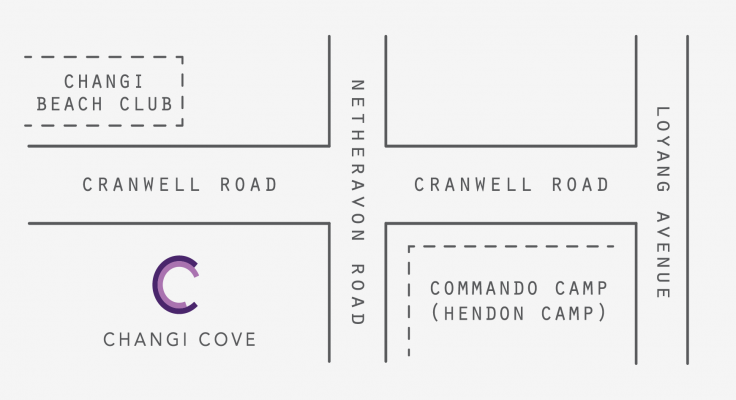 From Tanah Merah MRT: Take bus 2 towards Changi Village Terminal and alight at bus stop 99021 ‘Bef Cranwell Rd’.